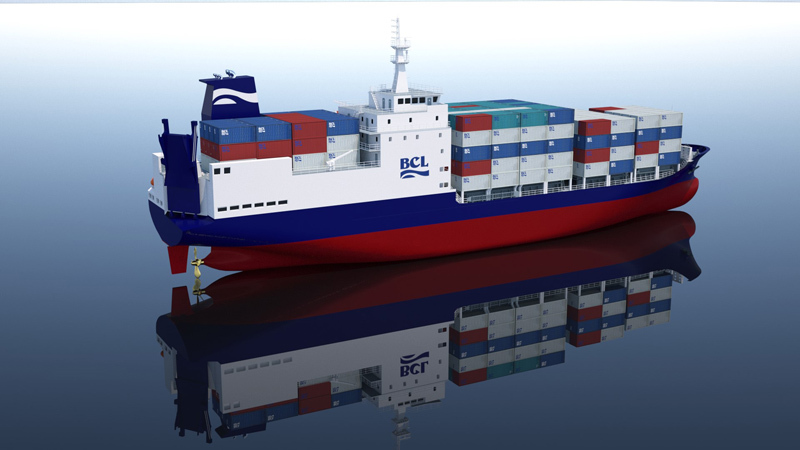 The construction of the new Oleander ship is underway in China, Bermuda Container Line [BCL] said, with the new vessel scheduled to be delivered in the first quarter of 2019. “The Oleander is being constructed in a series of 80 pre-fabricated, complete hull, sections rather than being built around a single keel. In earlier times, keel laying was the initial placement of the central timber making up the backbone of a vessel, called the keel. John Wight, Chairman of the Board of Neptune Group Limited, commented: “In early 2017, we announced BCL’s commitment to build a replacement for the current Oleander, which was built in Holland in 1990. 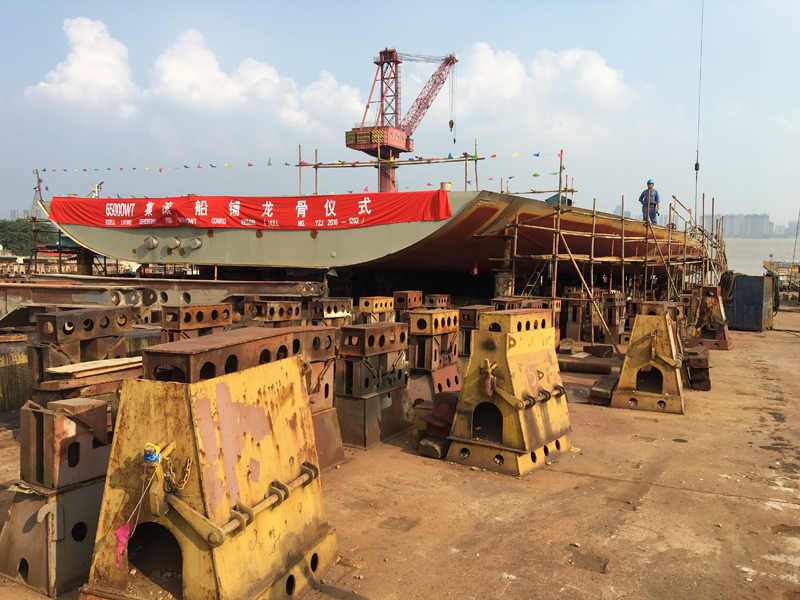 “The piecing together of the hull is a significant milestone in the shipbuilding process and it is encouraging to see that the project is on time and on course. 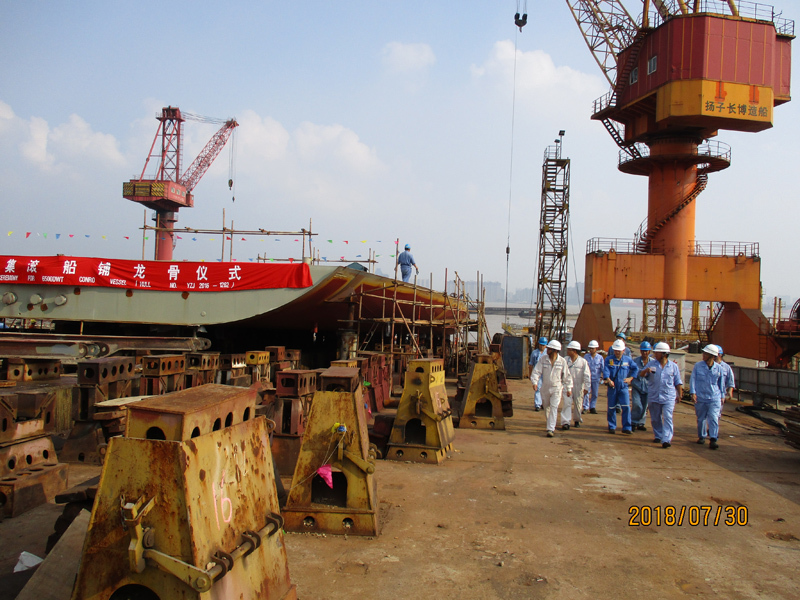 Barry Brewer, CEO of BCL reported that “The 80 pre-fabricated vessel sections are now being assembled in a slipway. “The main engine, bow thrusters, auxiliary generators and other key component have all been shop tested and are now positioned in China for installation”. Nordic Hamburg’s Director of Newbuildings, Soren Hosserman, “Nordic Hamburg has built dozens of vessels in China for clients. 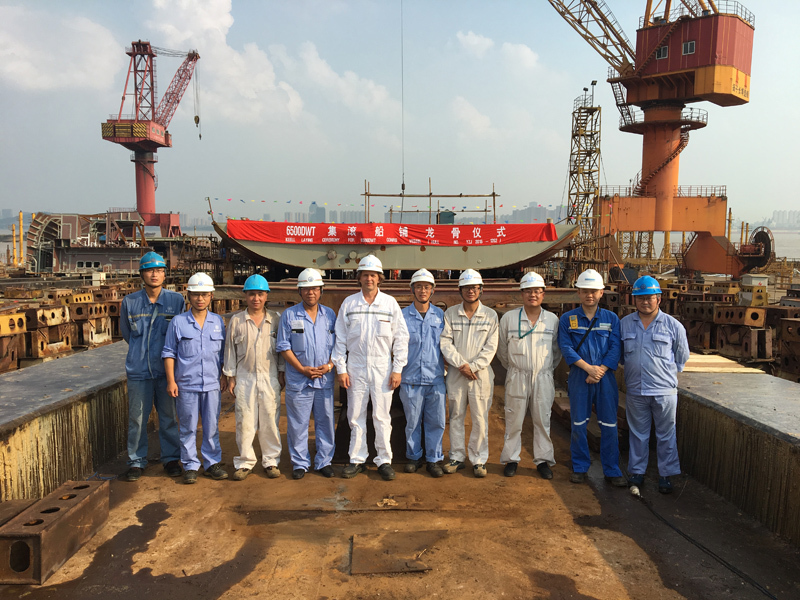 It is always an exciting time to celebrate the keel laying of a new vessel especially after many months of planning and drafting. “The designers and project managers have worked hard to come to this point. The new Oleander will takes shape and be transformed from drawings and blocks to a floating ship within the next 70 days. The new ship is scheduled to be delivered in the first quarter of 2019, at which time BCL’s current container vessel Oleander will be retired. Given the vital role the current “Oleander” plays in being Bermuda’s lifeline, should we give it a proper burial on retirement and let it become a scuba atttraction and add to Bermuda’s diving legacy?